Vivek Oberoi and Mallika Sherawat come together on the big screen for the first time with the romantic comedy, Kismat Love Paisa Dilli. The movie is set to release on 5th October. Kismet Love Paisa Dilli is a one night madcap story of Lokesh and Lovina. Lokesh is a college going middle class guy and Lovina is the girl next door. The two miss their last metro back home and a series of on the edge moments occur through the night where Lokesh and Lovina run across Delhi on this roller coaster of a night from cold streets to glitzy farm house parties and gradually end up falling in love. 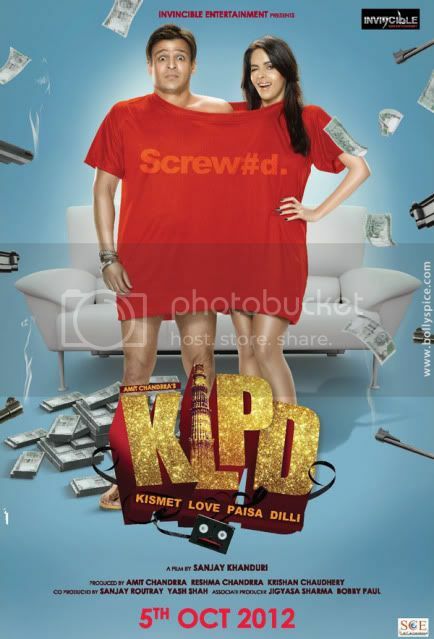 Share First Look – Kismat Love Paisa Dilli Mallika Sherawat and Vivek Oberoi Movie with your friends on Facebook.